Our hotel rooms are historically refurbished to the late 1800's with antiques reflecting the period. If you enjoy history and comfortable elegance you will enjoy an overnight or weekend stay in one of our rooms. 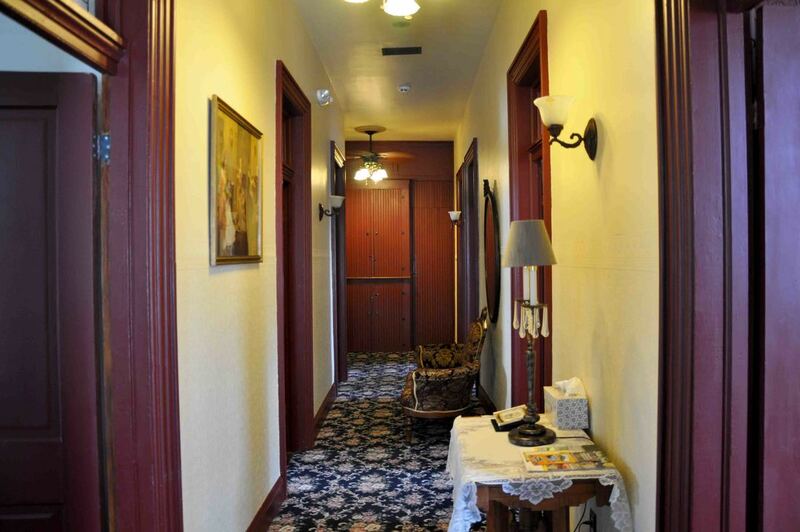 The Hotel Saxonburg features six sleeping rooms with continental breakfasts and free Wi-Fi. The entire floor can be rented for business meetings, wedding guests or other group events. We also have a private dining room that seats fourteen. It is a perfect spot for business dinner meetings, luncheons or family get-togethers. Contact our hotel manager, Judy Ferree at (724) 352-4200 to book a hotel room. Check in time is 2:00-4:00 PM unless another specific time is arranged. Please note that the restaurant closes and check-in is not available after 9:00pm. 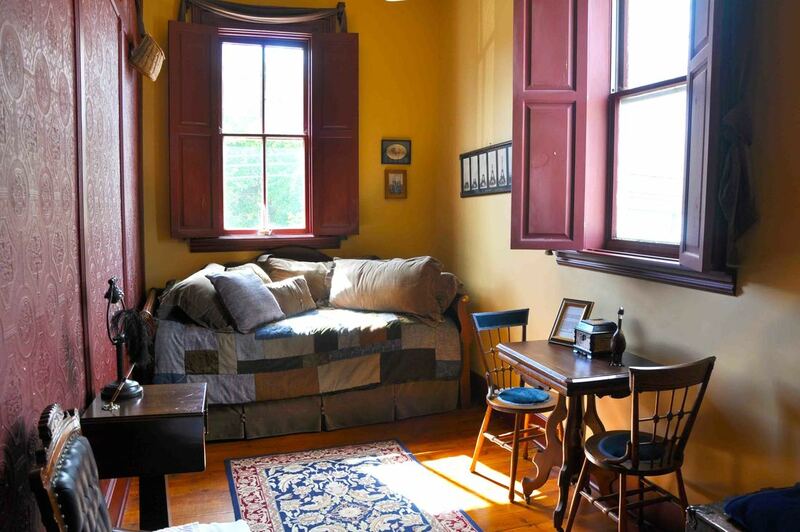 ​The “Amelia Room” features a queen sized bed, which is a reproduction of an 1878 bed. The room is furnished with antiques including a very old and unique Victorian ladies sewing desk. The room has a painted tin ceiling. ​​The “Cara Mia Room” is furnished with a double sized four poster bed. It is appointed with Victorian antiques and has its original floor. 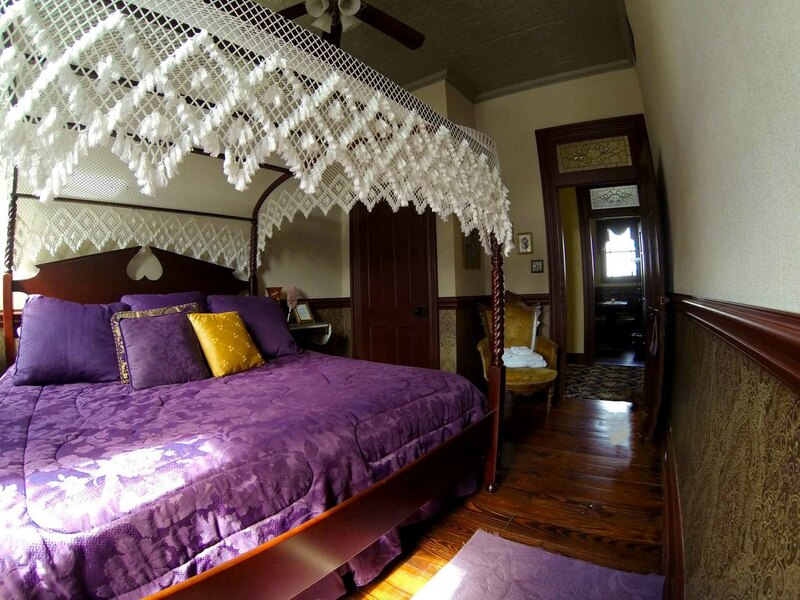 ​The “Perusia Room” has a king sized canopy bed and period antiques including a beautiful Eastlake settee. It is the largest of our rooms and also has a tin ceiling. 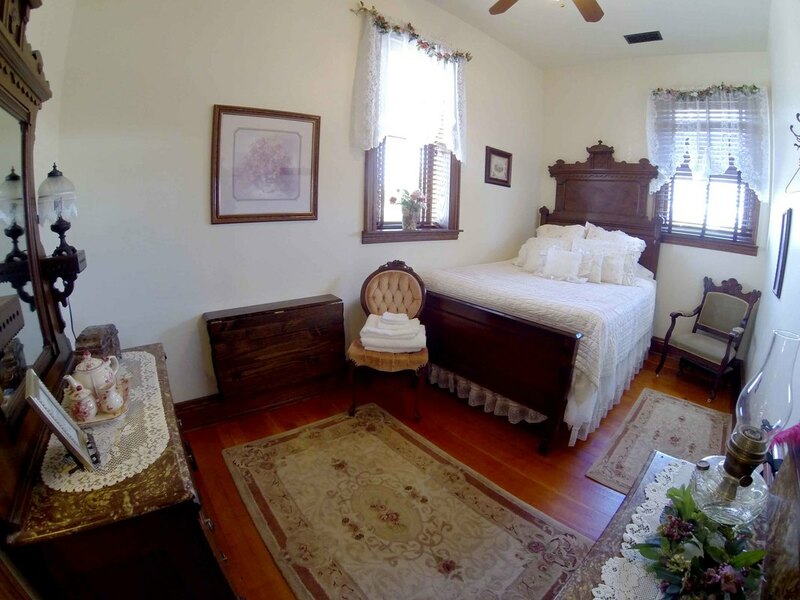 ​The “Jean Rose Room” has a complete Victorian bedroom suite that has a queen size mattress. The dressers have the original faux painted tops, common in Victorian periods to make tops of furniture to resemble marble. 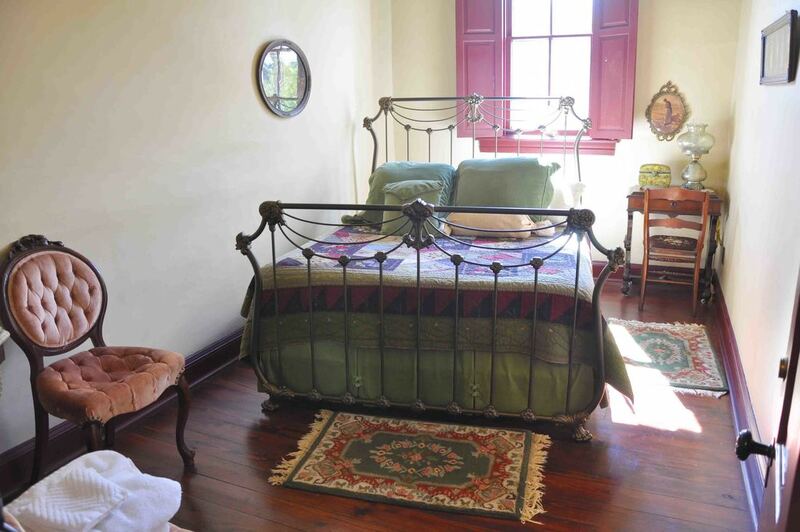 ​The “Woodrow Wilson Room” features a single sleigh bed wtih a single trundle bed. 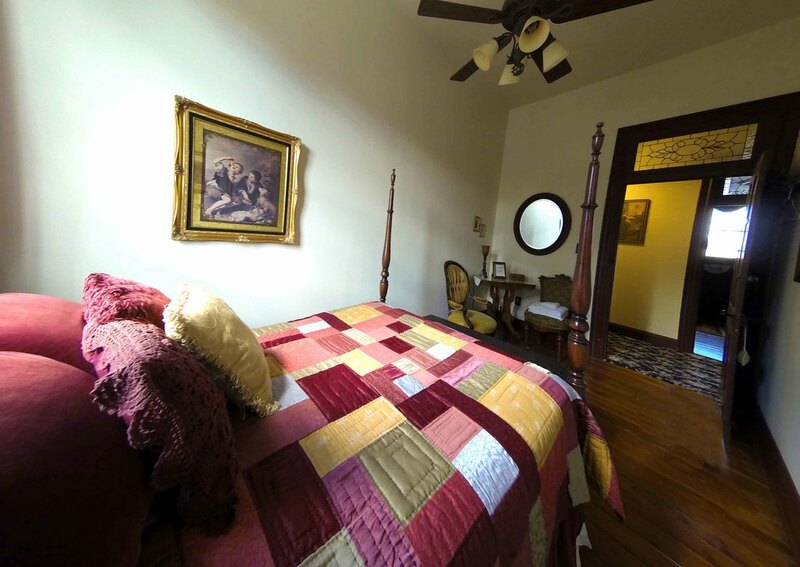 The room has the original floor and is furnished with antiques. This room is named for Woodrow wilson, because a Hotel Guest Registry from 1914-1917 has his signature as a guest. A humorous aside to this story, is that beside the signature is a notation “not paid”. Maximize your space by adding the Dominic Damine Room. This room accommodates larger groups and is set up as a family room area with a pullout queen sofa bed. It may be reserved alone or with another room. 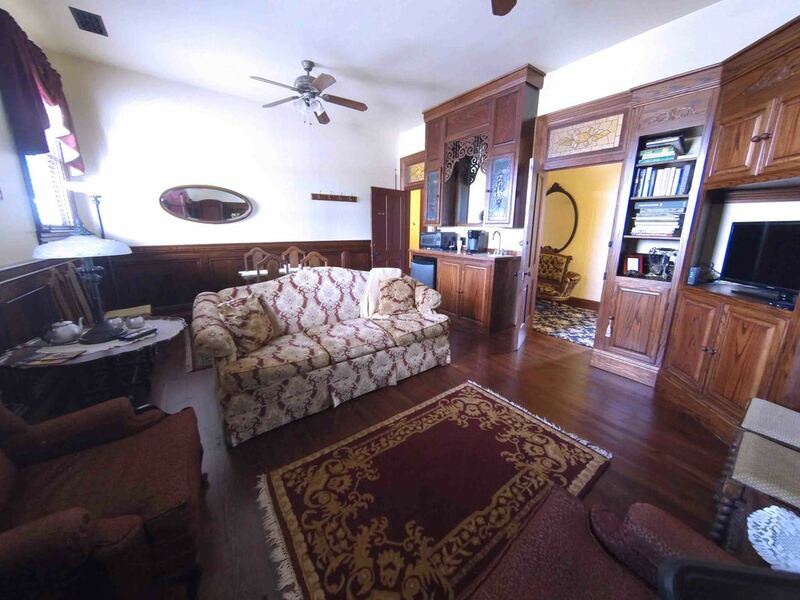 The Dominic Damine Room has a Victorian entertainment center featuring a built in TV/VCR/DVD and stereo system. The upper doors of the bar have beveled glass and the bar top is antique marble. The room has a Robbins table, which is completely unique in design. When closed, the table is a perfect square with all six leaves hidden in the table. When opened, it seats twelve. Enjoy your meals in your private room or downstairs. The room has an Olive Oak blast furnace, which is actually a large pot belly stove with nickel plated trim. A local lumber store was still selling the Olive Oak in 1914. ​PLEASE NOTE: A $25 non refundable deposit will be charged to your credit card and will ensure your booking. The remainder will later be charged to your credit card unless you have cancelled within 48 hours prior to check in time. Since we are a small business, and usually are fully booked on week-ends, we regret that we are unable to extend this cancellation policy any further. Cancelling after 48 hours or not showing before closing time (10pm) will result in the remainder being charged to you, since the room was held for you and unable to be re-booked.